Side view of a male mocker swallowtail (Papilio dardanus) butterfly. The mocker swallowtail (Papilio dardanus) is the newest and perhaps most fascinating butterfly here at Butterflies & Blooms. Native to Sub-Saharan Africa, this beauty is truly one of a kind. The male mocker swallowtail is monomorphic, meaning he always looks the same. In this particular case, he is a gorgeous, butter yellow with hints of black, and two distinct swallowtails. 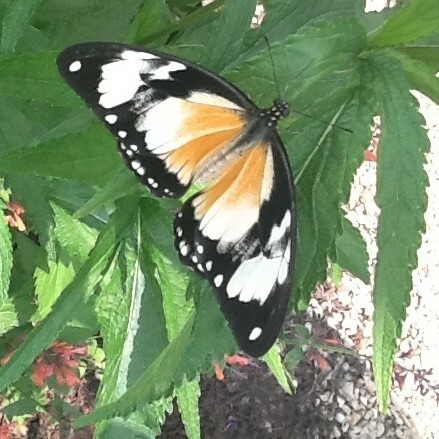 The female, however, is polymorphic and has the ability to mimic up to 14 different butterfly species! The species she mimics are all native African butterflies that are known to be either distasteful or poisonous to predators. Her looks have great variation and can range between all white and black, orange and black, orange with black and white, and many more options! The female form also rarely has an actual swallowtail. There are some photos below of a few of her forms. Female mocker swallowtail (note the absence of actual swallowtails). Another color combination of the female mocker swallowtail. The mocker swallowtail is particularly active in the early morning and is extremely alert, so trying to get close to these beauties is difficult. Because birds (a.k.a. 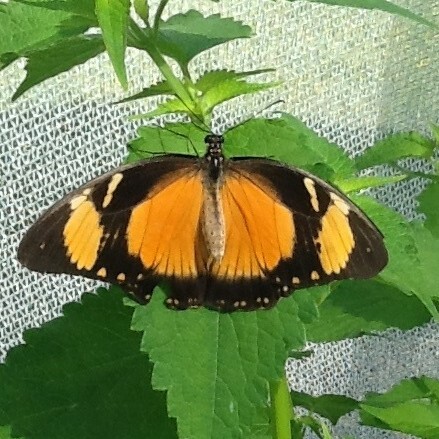 predators) are also active in the early morning, this is presumably a defense tactic used by these bright butterflies. That doesn’t mean you won’t see them in the display, though! They fly around all day long, so you will definitely be able to spot a few. 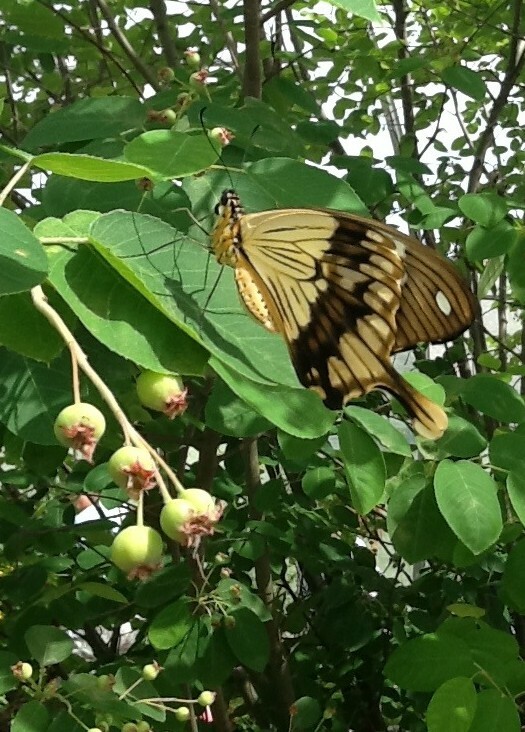 Visit Butterflies & Blooms to see the swallowtail in a habitat filled with hundreds of live butterflies.